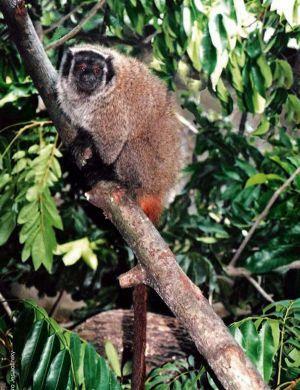 The Coimbra’s Titi was discovered only in 1999 by Kobayashi & Langguth. It has since been assessed in 2003 and listed as critically endangered. This particular species is endemic to Brazil. The total population of these animals is believed to be less than 200, and have been found only in the north-eastern state of Sergipe in Brazil. This monkey is also known by the name Comibra-Filho’s Titi Monkey, or Guigó-de-Coimbra-Filho in Brazil. The population is declining due to human factors such as habitat clearance. Very little is known about this particular species. Hershkovitz, P. 1990. Titis, New World monkeys of the genus Callicebus (Cebidae, Platyrrhini): a preliminary taxonomic review. Fieldiana, Zoology.